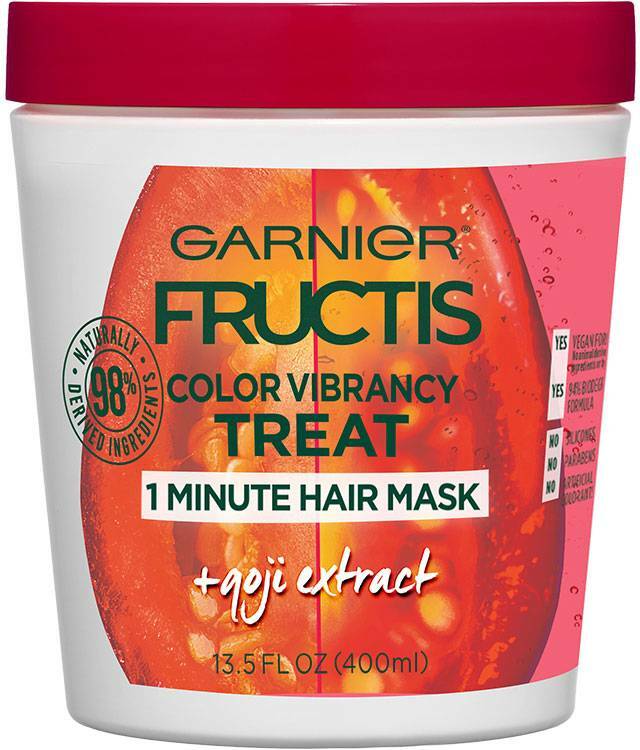 Color Vibrancy Treat 1 Minute Hair Mask + Goji Extract helps you get soft, smooth hair with color vibrancy. 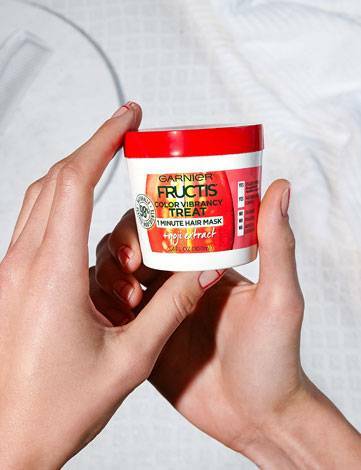 In 1 minute, indulge your hair in a nourishing treat with 98% naturally derived ingredients*. 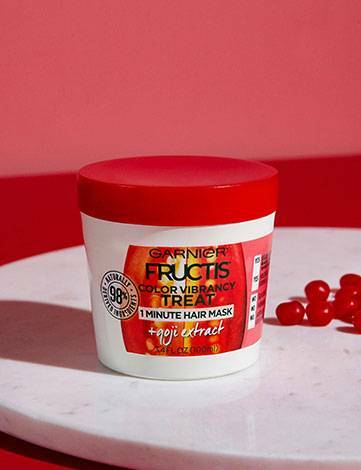 Color Vibrancy Treat 1 Minute Hair Mask + Goji Extract helps you get soft, smooth hair with color vibrancy. 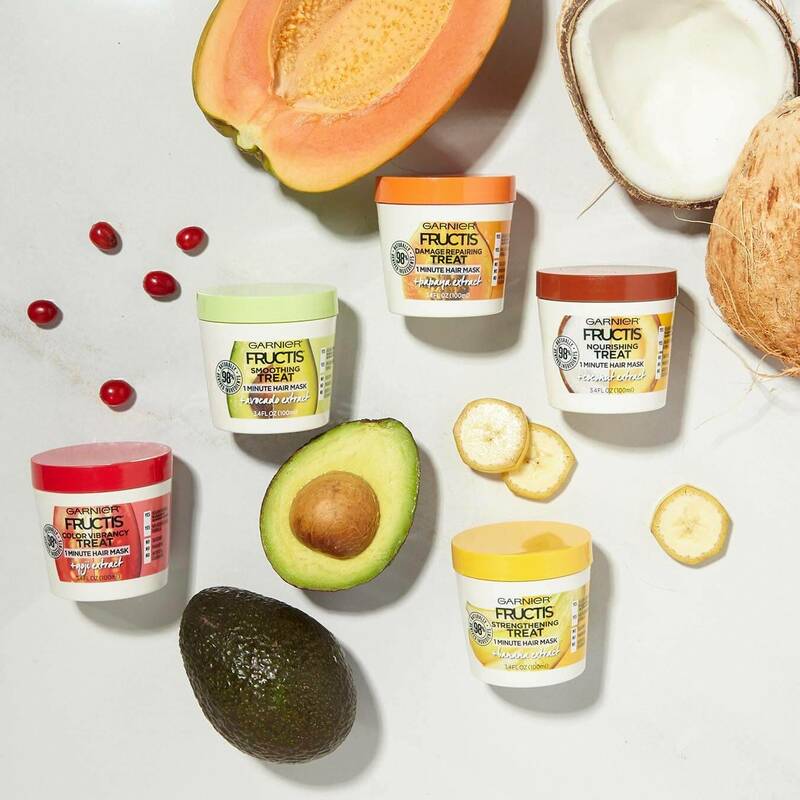 No weigh down, no silicones, no parabens, and no artificial colorants. Rated 5 out of 5 by shailad from This is one of the best hair masks ive ever used. A little product goes a long way and best part of all is that you get alot of product for a small amount of money. I use this hair mask everytime i wash my hair but i switch it up every once in a while. Ill sometimes use it in the shower after i shampoo my hair or ill apply it to my damp hair and leave it in and my hair smells and looks good. My boyfriend also uses some for his colored hair and he loves it. Rated 4 out of 5 by nicolen0ae4 from Man oh man this stuff smells amazing! I loved using this when I added in color to my hair. It helps keep it from fading so fast. Especially when I was doing auburn color. Rated 5 out of 5 by hildar from 1 minute mask!! Use it for 3 or more minutes and you will love your hair!!! After I use it I air dry and my hair isnt poofy!!! Smells nice and jar is not so slippery, (water and conditioner you know). For men and women. Keeps hair color nice but not all crazy vibrancy change. Just good on your hair. Soft and manageable. Rated 4 out of 5 by sylviac4 from Smells sooo yummy. Made my hair feel smooth. I would buy it again. Wish the size would be bigger. Rated 4 out of 5 by Anonymous from This mask is amazing! 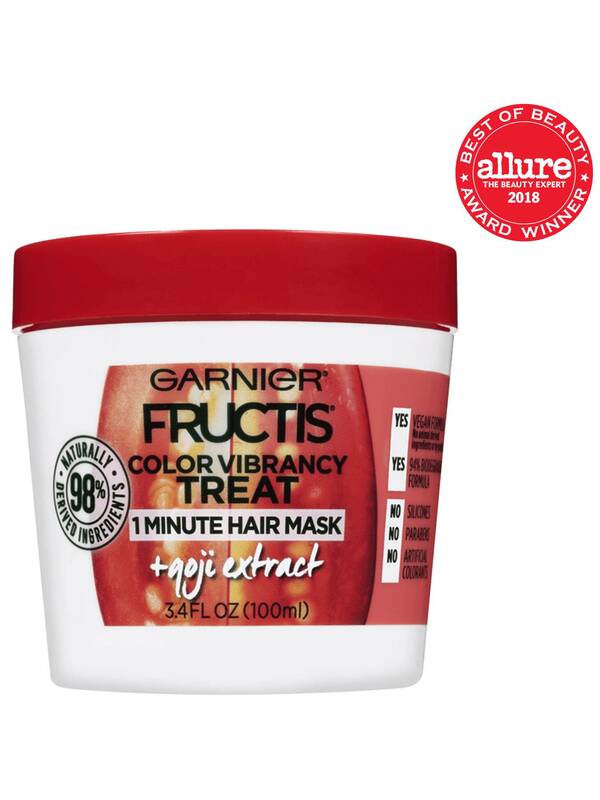 It doesnt weigh down my hair or make it oily and it gives my hair a glow and healthy look to it. Its very effective and I love it! Rated 4 out of 5 by caitlina4 from The smell! I can't even begin to describe the delicious smell of this mask when I was in the shower. My hair smelled for days and the application was super easy. I highly recommed it for anyone who has color treated hair. I used it for my "at home spa day" and would definitely buy it again.